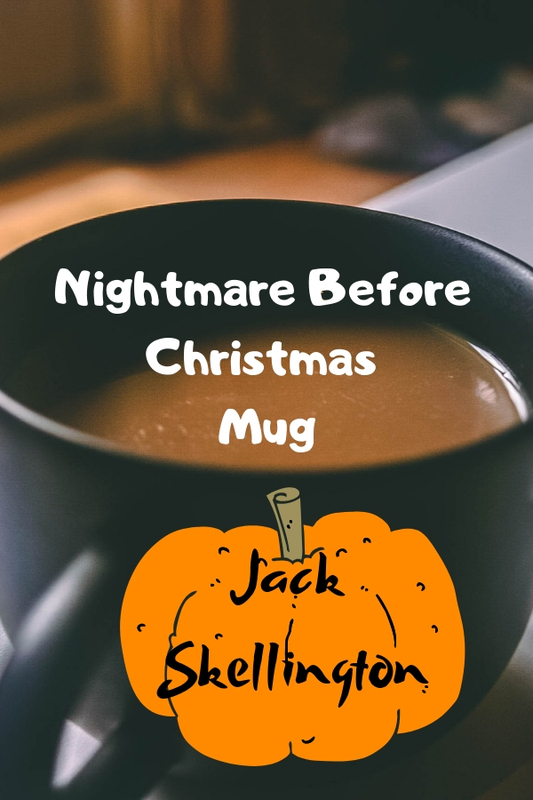 Let’s explore amazing options of Nightmare Before Christmas mug that make the perfect gift to the Jack Skellington fans. It can be ideal pick as October holiday present to celebrate Halloween all year long with the Pumpkin King of the Halloween Town. All of the following ceramic cups feature Jack Skellington screen art. Being said that, you’ll not see him appears with his standard costume on every single cup as what you normally can see on Jack Skellington blow up decoration. For instance the first one displayed in this page. It only features Jack’s head and the entire piece comes with unique sculpted shape. You may be wondering is it a normal cup when look at it. It actually features one side higher than another side. You can use it to hold your hot beverage as your other cup does as it is made from stoneware and microwave safe. Furthermore, its handle features orange and black stripe which is accent colors of the Halloween. Do not hesitate to grab one for yourself if you love both of the October holiday as well as the famous character Jack Skellington.